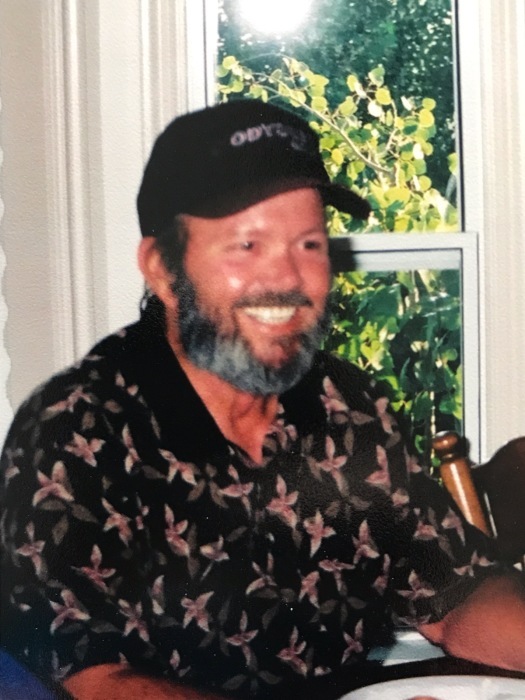 OGDEN- Willard Craig Checketts, 72, passed away on March 23, 2019. He left his earthly body peacefully, with his family at his side sharing memories that will be forever cherished. Craig was born on Easter morning of April 21, 1946 in Ogden Utah to Willard Glen Checketts and Mina Susan Brown. He lived his entire life in the Ogden area. When Dad was in his youth, he was an exceptional athlete. He excelled in many sports including track, football, basketball, volleyball and baseball. He won many bowling competitions and even took home the title of City marble champion. He was also a third degree brown belt in Shotokan. He won the club championship for golf, and continued to prove to be a competitive golfer for many years to come. Dad was golfing up until the last year of his life when he became too sick to continue his favorite passion. Dad was employed with Kimberly Clark for the majority of his career. He made many good friends while working there. Dad was an active member of The Church of Jesus Christ of Latter-day Saints. He attended the Lorin Farr 6th Ward. He had an extensive knowledge of the Gospel and would love to share what he learned with many. Dad was blessed with two wonderful sons from his first marriage. He later married Lila Louise Verley in 1971 and was blessed with three more children, two sons and one daughter. They were later divorced, but remained friends. Dad is survived by his children Robert (Jan) Checketts, Shawn (Paulette) Checketts, Heidi (Christopher) Petree, Shiloh (Connie) Checketts; a brother Alan (Reylyn) Checketts; and brother in-law Al Applegarth; grandchildren Jake(Breanna), Beaun, Jairus, Tre’, Danika, Kiley, Daxton and Kade; one granddaughter in-law Courtney. He also has four great-granddaughters and many nieces and nephews. He shared a special close relationship with his niece Pamala Cummins. Dad was preceded in death by his parents, Willard/Bill and Sue Checketts; his two sisters Gloria Cummins and Carole Applegarth; his brother-in-law Johnny Cummins; his son Rick Checketts; a grandson Rocky Checketts and a great granddaughter Haven. We will miss your many stories that you would tell, your crazy one-liners that you thought were so funny, and would always make us laugh. A special thanks to Rocky Mountain Care and Rehab in Clearfield and their staff. We are so thankful for the love, concern and care you gave dad during his time there. We would also like to thank Rocky Mountain Hospice for the care they offered. Services will be held on Saturday March 30th at 11:00 a.m. at Leavitt’s Mortuary, 836 36th Street in Ogden. Friends may also come between 9:30-10:45 a.m. prior to the services. Interment will be in the Ogden City Cemetery.